An American version of the popular South Korean TV variety show "King of Masked Singer" has been a sensation in the United States, garnering over 10 million views per episode, the show's producers said Sunday. The remade show's first episode was watched by 9.368 million when it premiered on the Fox channel on Jan. 2, and cumulative views, including runs on video on demand and over-the-top services, rose to 12.27 million and 12.96 million three and seven days later, respectively, according to Fox and MBC. The second and third episodes each have also drawn more than 10 million views, they said. MBC is the broadcaster of the original singing competition show. In the US, programs attracting more than 10 million views are considered a big success. 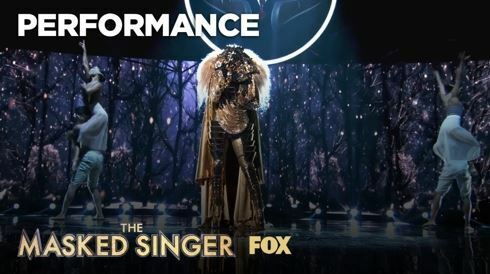 The cumulative views of "The Masked Singer" are more than the 6.91 million for a recent episode of the hit American television show "The Big Bang Theory." "The Masked Singer" is one of three South Korean programs that have been remade in the US, along with tvN's "Grandpa Over Flowers" and KBS 2TV's "The Good Doctor." The original Korean show "King of Masked Singer" premiered in April 2015 in Korea, and the format has been sold to about 20 countries, including Britain, France, Thailand, Vietnam, Indonesia and China.